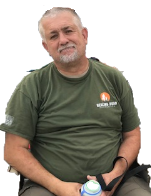 Earl Clayton Rich, 52 of West Valley City, Utah passed away January 24, 2019 following surgery for injuries sustained in the military. “Rich” joined the army at 17 worked his way up to E6 and served in two wars. He is the recipient of numerous medals, including two Purple Hearts. He married MaryJo Hansen May 29, 1993. Since his medical retirement from the army he graduated from Salt Lake Community College with an Associate degree. He had a great love for fishing, scouting and camping. He is survived by his wife MaryJo, son Brandon, daughter Jennifer, and many other family members and friends. A Celebration of Life/viewing will be held at the West Kearns Stake Center, 6175 West Borax Avenue between 10:00am - noon, February 1, 2019. Internment will follow at Utah Veterans Memorial Park at Camp Williams.